For this week's Make Me Up Wednesday, I decided to do an Inspired look. 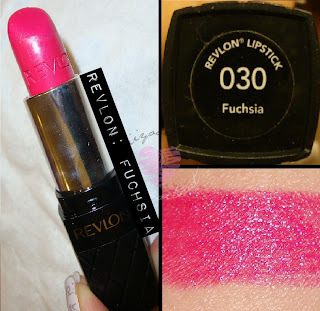 This look is inspired by Effie Trinket's fuchsia/pink & gold nails. The gold is on the inner half of the lid highlighting my inner corner as well as blending into the pink.. just like the gold is highlighting and interlacing with the pink on her nails. *Please click on any of the images to enlarge. The gold shade was placed in the inner half of the lid as well as the inner lash line. 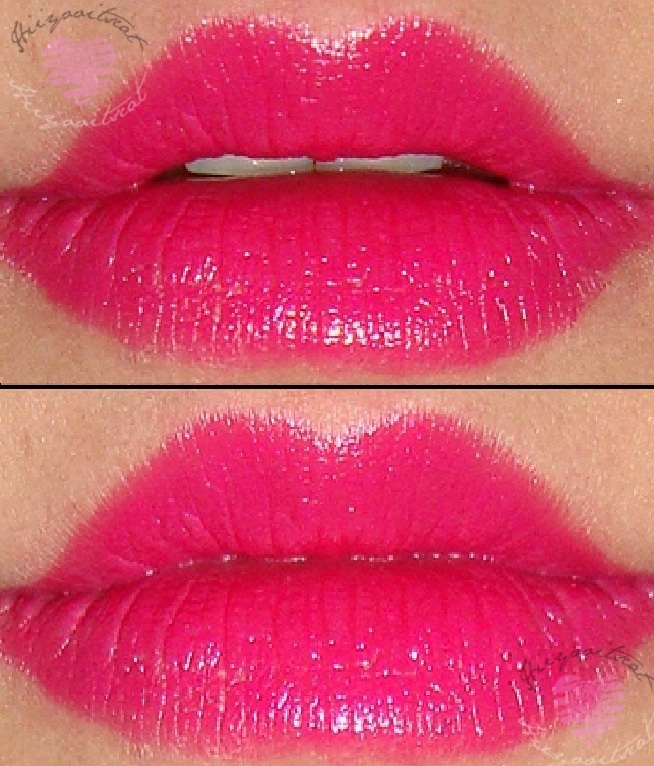 Beautiful Iris was used in the center of my lips while Fade was used to outline. 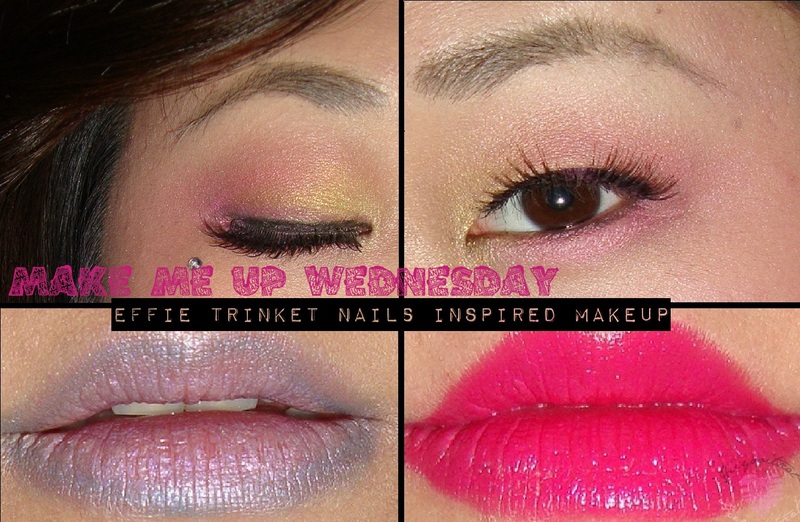 I hope you guys enjoyed this week's edition of Make me up Wed!.. I am now off to math class =.=... See you in a later post. Ciao ciao for now! 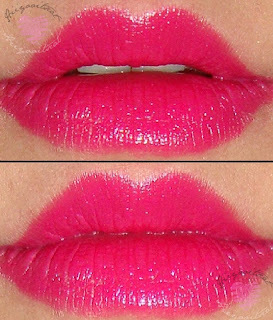 love the pastel lips!! never really seen that before. I'm from the blog hop if you want to follow me!